Are you a debit or credit card holder and are still using your old, magnetic stripe cards? Then you need to hurry up and get your cards replaced with EMV Chip Cards as soon as possible. For, if you fail to do so latest by December 31, 2018, then your card /cards may get blocked by your bank. A majority of banks, including SBI, have already informed their customers about this move. For instance, in a notice titled ‘Important Information for State Bank Magstripe Debit Cardholders,’ SBI says, ?Upgradation of Magstripe Debit Cards to EMV Chip Cards for enhanced security and towards compliance of RBI guidelines. Esteemed customers may please note that Magstripe Debit Cards blocked by them will remain blocked permanently. They are requested to apply for replacement EMV Chip Cards, free of cost, through online SBI, or through their home branch.? How to identify EMV Chip Cards? 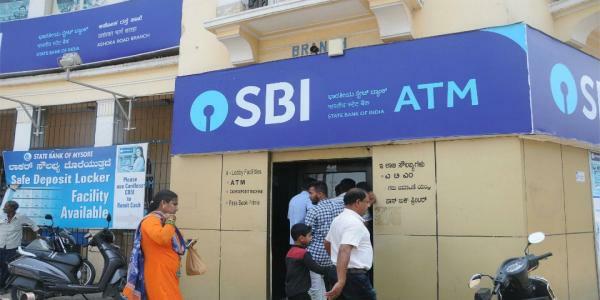 SBI says that one can identify one’s Debit Card as an EMV Chip Debit Card if there is a Chip located on the face (center-left position) of the Debit Card. In fact, EMV Chip technology is the latest global standard for Debit Card payments. This technology features Debit Cards with embedded microprocessor chip that store and protect the cardholder’s data. This is a much secure technology as compared to Magstripe variants of cards. Industry experts say that this move has been aimed at combating card-related frauds and to protect sensitive payment data of the cardholder. It may be noted that according to directive issued by the RBI in 2015, all Indian banks have been mandated to replace the existing magnetic stripe credit cards and debit cards (both domestic and international) with the EMV Chip and PIN cards by December 31, 2018, irrespective of the card’s validity. These EMV chip and PIN-based cards have enhanced security and risk mitigation features. Named after its creators- Europay, MasterCard and Visa, EMV technology is embedded with microprocessor chips which store as well as protect the cardholder’s data in an encrypted form. With such enhanced features, these cards are comparatively less vulnerable to frauds. “Since the RBI, in its circular, had clearly directed banks to take proactive steps towards replacing customer’s Magstripe cards with EMV chip cards, the onus is now on Indian banks to follow this directive and upgrade each customer’s card latest by 31st December 2018,” informs Arora. How to share live location in WhatsApp?